Visit us at Maison&Objet in Paris! The biggest home and living fair of Europe opens its doors from September 8th until 12th. 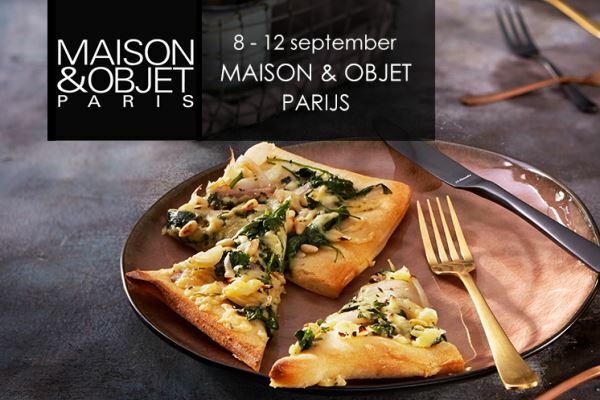 MAISON&OBJET in Paris is the go-to fair when it comes to interior and home design. Get inspired by the newest living trends, innovative home sollutions, and the most beautiful desings. This year, Amefa again will be present. Visit our booth, You'll find us in hall 5A, stand 01. At our booth, we'll inspire You with the latest trends on cutlery, kitchen knives and cookware. We'll show you which products and promotions can absolutely not miss in Your collection! Are You curious about our newest products? Or would You just like to meet one of our collegues? Make an appointment by filling out our contact form, and making a note you'd like to meet one of our collegues at MAISON&OBJET. We'd love to see You during MAISON&OBJET in Paris, the coffee will be waiting for You.